HSBC has officially launched PayMe for Business, enabling customers to make purchases at 45 participating brands at launch. 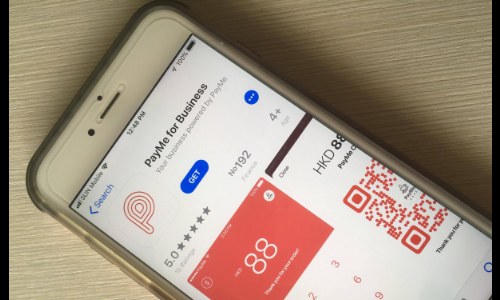 The new PayMe for Business app is now available for download at Hong Kong Apple App Store and Google Play. By using the latest version of the PayMe app, customers can make a payment by activating the scanner with a simple swipe to the left, and then scan the dynamic PayCode provided by the merchant. The PayMe for Business app requires no set-up cost. It also has no limits on payment collections amount and enables merchants to instantly transfer money to their HSBC Business Banking account and have access to their money in real time. It also offers features to help them gain insights into their business performance, as well as easily export transaction histories into compatible business accounting software. Currently, HSBC is waiving merchant transaction fees until 30 June 2019 as a promotion and early bird offer. “Recent beta testing has given us invaluable merchant and consumer insights, allowing us to refine the user experience before today’s launch. We’re thrilled to have launched the app knowing that it was co-designed with our customers, and we look forward to continue building out new features to support all their business needs and help them grow,” said Greg Chapman, head of PayMe, HSBC. PayMe will also introduce PayMe Perks soon which features special offers such as discounts and limited edition F&B items exclusive to PayMe customers at participating merchants. It’s expected that more details will be revealed in the coming weeks. This is to provide more mobile digital services to Bank Rakyat Indonesia’s employees and management environment, especially in Wes..
Netflix has announced that chief financial officer David Wells will step down after eight years in his role. He intends to stay un..